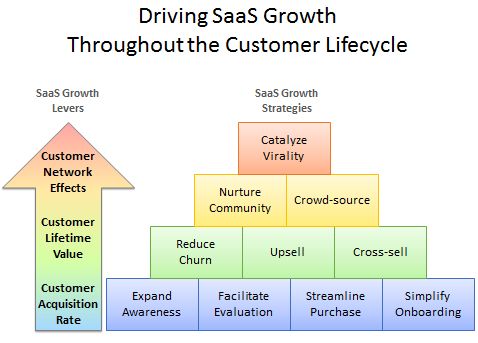 SaaS businesses need to keep customers happy throughout their lifecycle in order to have a healthy sales cycle, grow revenue and reduce churn. This means developing intimate, long-term relationships with customers, encouraging a recurring cycle of met expectations. 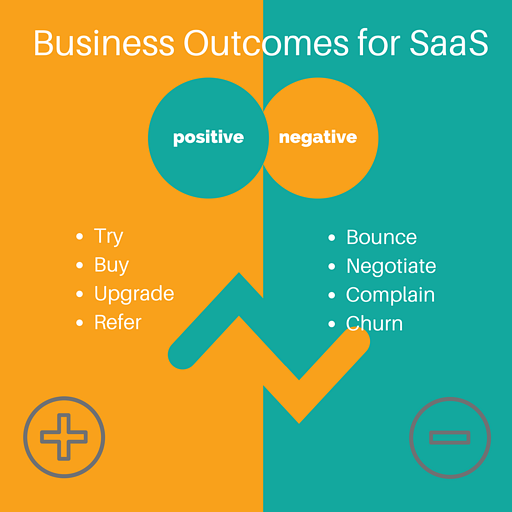 Positive business outcomes are very straightforward with SaaS businesses: build relationships with the customer as they try, buy, upgrade and refer. The quality of a SaaS business depends on the quality of its customers. SaaS customer alignment means aligning the goals and actions of the customer with the goals and actions of the business at every stage of the SaaS customer lifecycle. To increase revenue and decrease churn it's important to create value across the customer lifecycle. The larger the business, the more hoops to jump through. Enterprise organisations have many departments and stakeholders that have a say in the buying decision. You might be in conversation with the marketing director but will need the IT director's input because they influence the buying decision too. Traditionally, the lower the cost of your product, the easier it is for people to buy. The buying decision takes longer if your product is priced higher. Committing to a larger price point needs more time to consider before purchase. The length of a contract also has a lot of weight on the buying decision. Some businesses have an annual contract. While that may be a good way to maintain recurring revenue and prevent churn, it often elongates the sales cycle. In the SaaS arena, long-term success comes from creating sustainable relationships and keeping customers happy throughout their lifecycle. A sales process can work seamlessly when processes are aligned with customer needs. Therefore it remains important to create a channel not only to acquire but also to retain customers in order to have a healthy sales cycle.